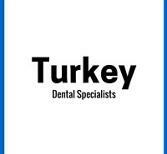 The Dental Care Clinic of Turkey comprises of a team of professionals who offer the top dental surgeries and treatments available today. Ceramic and zirconium crowns, bridges, over-dentures, total and partial prosthesis. Izmir is wonderfully named — the beautiful city — in Turkey. Izmir welcomes all visitors with warmth and friendliness and a dash of Turkish hospitality. The city is full of modern touches, yet effortlessly combines ancient history at the same time. Izmir is a stunning cosmopolitan and vibrant city worthy of a vacation escape year-round.Explore the Life in Izmir:Archaeology Museum -- The exhibits date from the time of the Greek and Roman rule. The extensive range of statuary include a 2nd Century AD frieze of Poseidon and Demeter.Kadifekale -- Izmir’s very own castle, founded by Alexander the Great, affords great views over the city and the bay. Izmir is full of contemporary dining establishments, with menus acquired by simple kebabs to the refined tastes of more five-star restaurants. Explore the Bazaar and the Alsancak region to get a quick and tasty Turkish treat, or explore along the Birinci Kordon waterfront to find the very best restaurants serving up tranca and cipura — delicious local specialties.The Buzz in IzmirHalikarnass Bahk Lokantasi -- Simply prepared with good quality seafood. With its location next to the Bazdurak Cami fish market, food doesn’t come much fresher!Deniz Restaurant -- Deniz Restaurant is highly regarded by the locals for its range of fish dishes including its very own fish soup. It is no wonder that their motto is "The flavour from the sea". 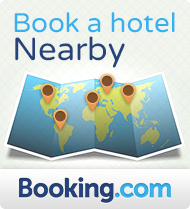 Izmir takes on the world with its many different hotels offering budget stays to the more luxurious five star suites. Each hotel gives you access to explore the dynamic city and take in the history, culture and modernity of Izmir. 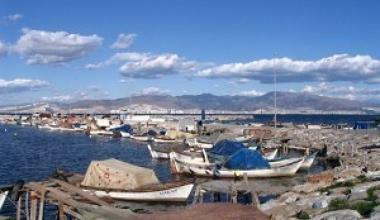 Many hotels are located within walking distance of Izmir bay with an array of shops, cafes and restaurants to discover.